Successfully Added Under Car LED Lighting Strips - Remote Control, Waterproof, Blue to your Shopping Cart. 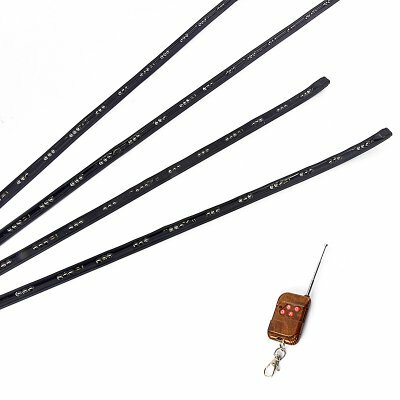 4x under car blue LED lighting strips featuring 15 flashing modes and a mini remote control are a cheap, fun and great car enhancing accessory! These blue car LED lighting strips are the best way to kit your car up and attract some head turns on the street. Sync these flashing LEDs to your tunes or break lights by attaching them to your break lights or stereo system. Featuring 15 flashing and normal modes, this set up will keep you entertained for hours and hours, with never a dull moment. In addition, you will also receive a mini remote control, so that you can stand outside your car and show off to your friends. Great for those days down the park or at the car show! 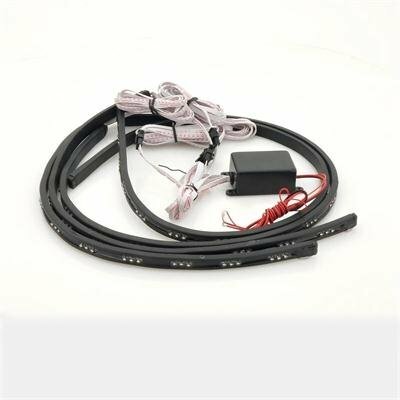 And these under car LED lighting strips are so easy to install, that you should be able to do it yourself. This under car blue LED kit is ideal for your car and will give you the street credit you deserve as well as lots of fun. Buy one now while this amazing price is still in effect. Order it today and we will ship tomorrow. Brought to you by the number one source for car accessories and other great electronics, Chinavasion.